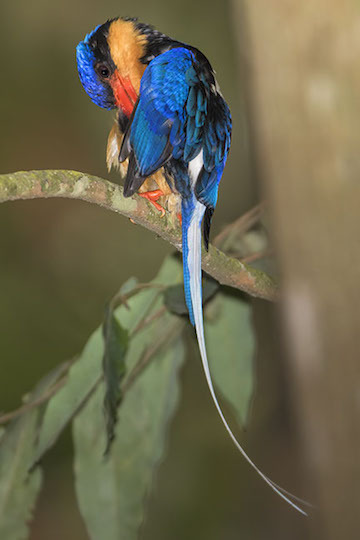 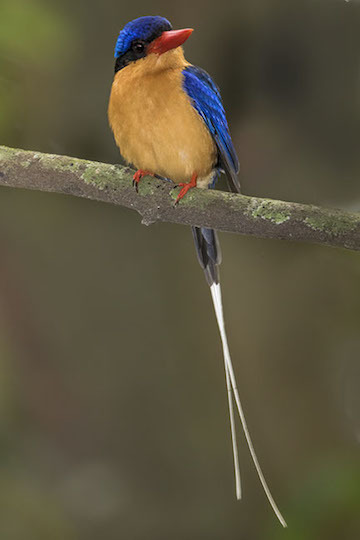 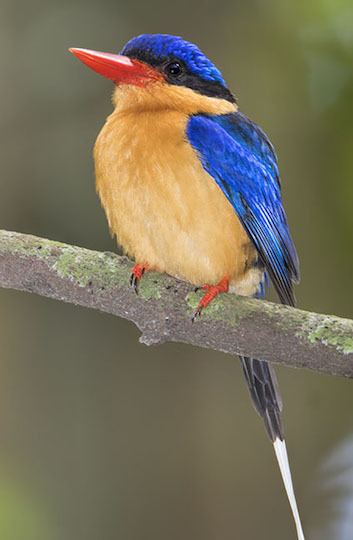 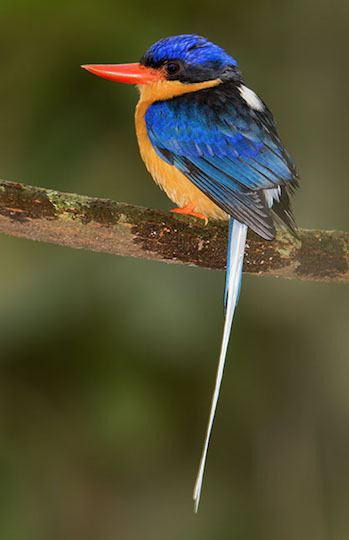 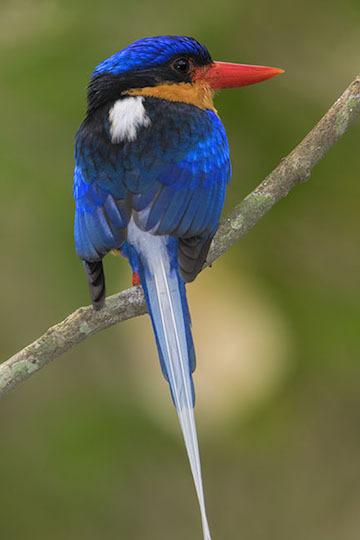 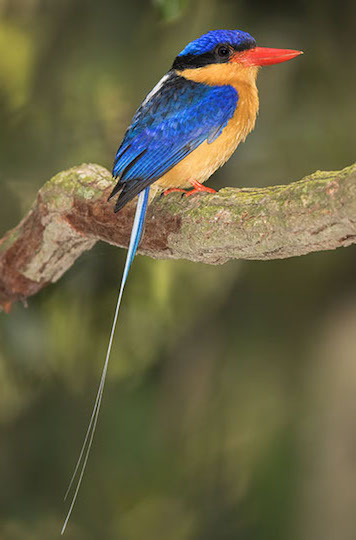 I think this is one of the world's most dramatic birds, although they live in dense rainforests and seldom show their brilliant colors in sunlight. 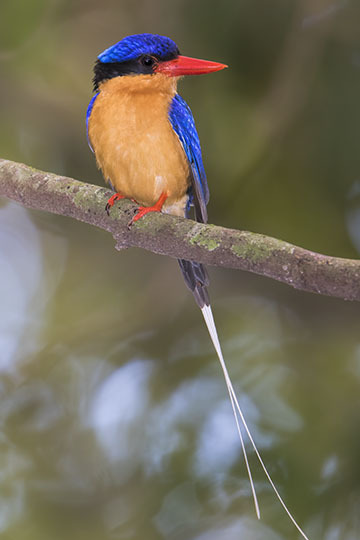 Usually one's initial impression is the white tail and back seemingly floating through the dark forest like a small piece of string (at first, you don't notice the dark blue dorsal plumage). 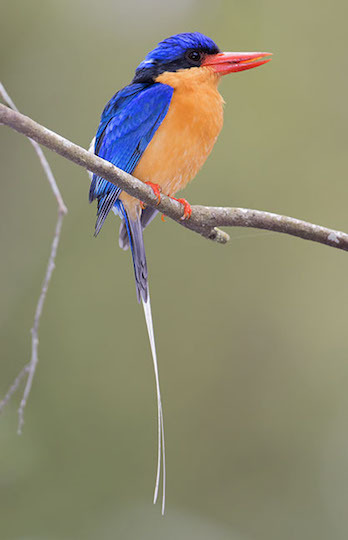 Buff-breasted paradise kingfishers are one of a diverse array of Australian kingfishers, most of which, including the forest kingfisher, the red-backed kingfisher of arid regions, and the laughing and blue-winged kookaburras (the largest kingfishers in the world) are woodland birds that feed mainly on terrestrial animals. 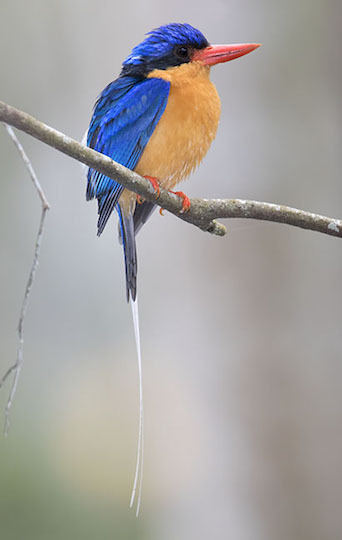 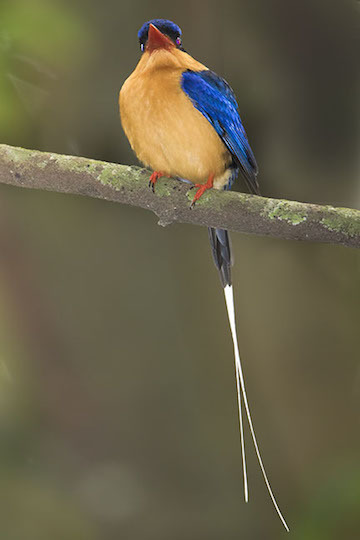 Only two, the little kingfisher and the azure kingfisher are true 'fishing' kingfishers. 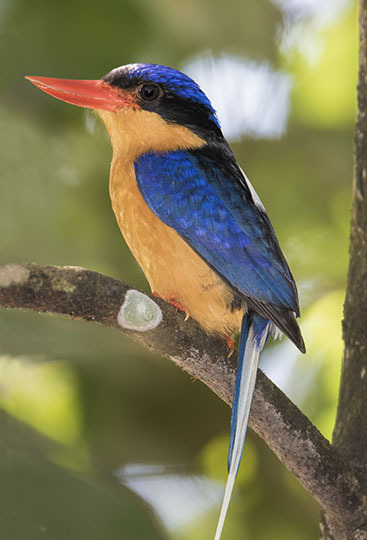 These were at the well-named Kingfisher Park in far north Queensland. 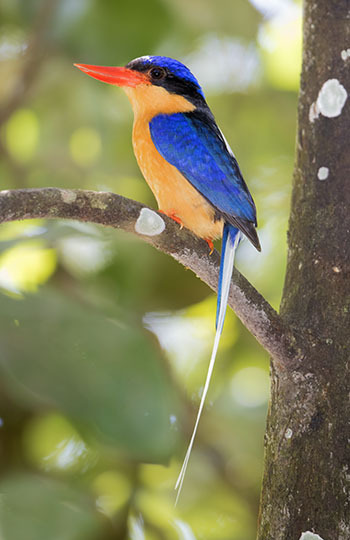 More photos are on another page.